If you were suddenly to be found murdered, would your friends have theories about who had done the deed? Well, when the wealthy and unpleasant Miss Pongleton meets her end on the stairs of Belsize Park underground station in "Murder Underground," her housematesthough not particularly grievedhave plenty of guesses at the identity of her killer. While they re merely airing theories, events arise that unexpectedly enable several of them, including Tuppy the terrier, to put them to the test. This novel from the golden age of British crime fiction is sure to puzzle and charm fans of Dorothy L. Sayers, Agatha Christie, and Josephine Tey. 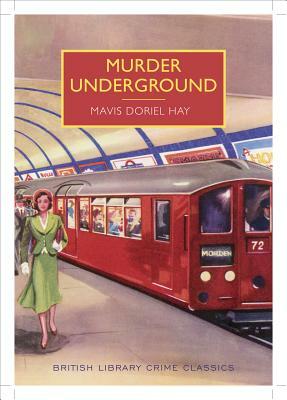 Mavis Doriel Hay (18941979) published three detective novels in the 1930s that are now extremely rare. Hay s "The Santa Klaus Murder" is also published by the British Library."